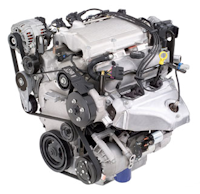 We have quality low mileage used engines available in Marietta and Atlanta, GA. Sometimes it is better to go with a remanufactured engine, but sometimes we can save you even more by installing a quality low mileage used engine instead. Give us a call today and we’ll discuss your options and the availability of a quality used engine in Marietta and Atlanta, GA that we can install into your specific make and model of vehicle. Before buying a used engine in Marietta and Atlanta, GA, it’s important that you’ve eliminated all possible problems with your car. You may just need a part or two replaced to get your car up and running again. If you’re not sure about this, bring your car by and we can perform an inspection. Say no to new car payments today and give us a call. We can save you a lot of money and give your car a new lease on life!